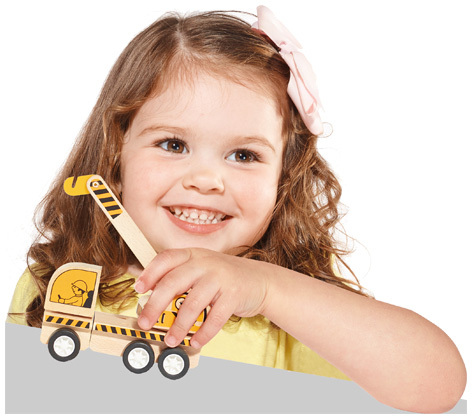 Varoom is a range of toys created by role play specialist Casdon, that consists of small wooden vehicles that are just perfect for junior budding engineers and builders. These interchangeable toys can supply hours of playtime fun for both boys and girls. 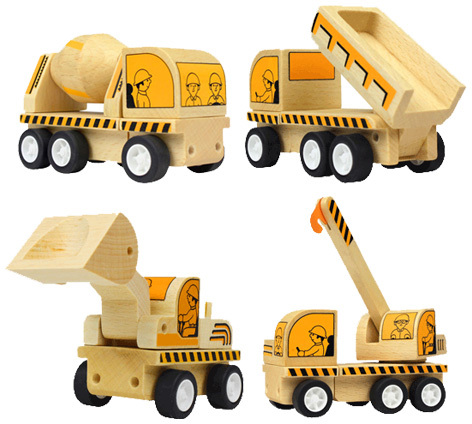 The Varoom Construction Set comprises of a crane, tipper truck, cement mixer and a shovel loader. The unique push... push... go action means that the vehicles can move along without any battery power. Made from sustainable plantation wood or bamboo, each vehicle has nicely rounded edges and is the perfect size for little hands to play with. Whilst every toy is available separately, larger packs also include the Varoom Demolition Set with a further four vehicles: a bulldozer, roller, tipper truck and an excavator. Please tell us what you think of the Varoom 4 Vehicles Construction Set by Casdon. Toys that all little ones will love.